If you're looking for honest, no spam search engine optimization that just works for YOURBUSINESS, you've landed on the right gig ! WEB2.0 is most popular blog system, The backlinks from this high profile website will help your site to rank to TOP. REMEMBER! it's not about throwing a ton of low quality urls to your site, that just doesn't work, a handful good high quality links from trusted domains will do more good for you SEO efforts. A: Yes, you will get Detailed Report. Q: Is it a one time fee? 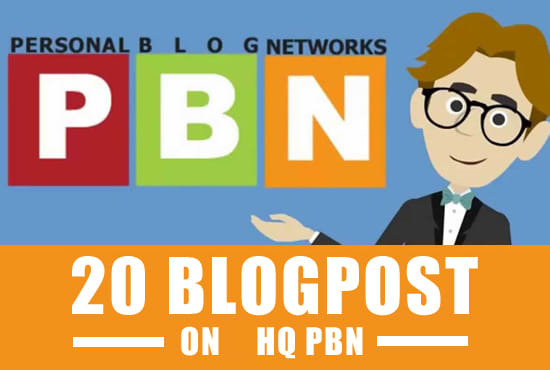 Manually Build 20+ PBN Links On DA30+ is ranked 5 out of 5. Based on 6 user reviews.